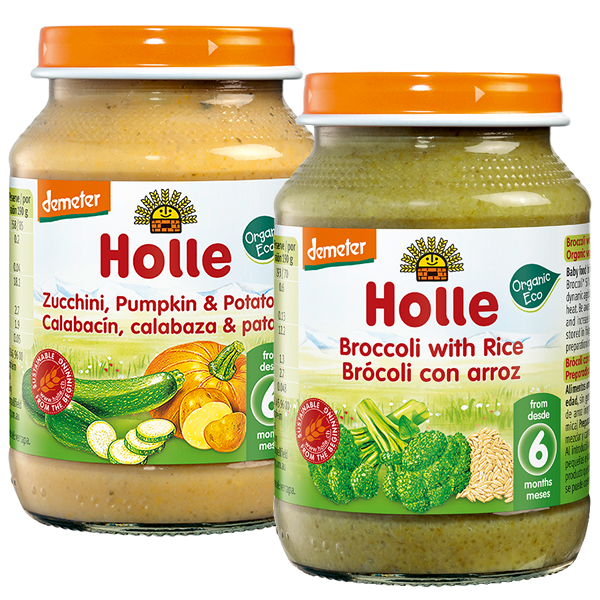 /holle-organic-zucchini-pumpkin-with-potatoes-baby-food.htmlZucchini and broccoli are mild green vegetables and easily accepted by babies of weaning age. 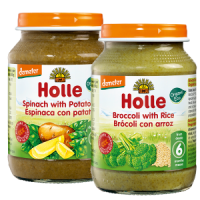 This vegetable weaning multi-pack could easily become one of your baby's favourite. 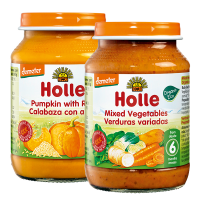 The delicious aromas of the high quality ingredients used in all our Holle vegetable and meat and vegetable meals are retained through using a special closed cooking system, helping your child develop a love of good food. For more information please see individual product pages.